Is this your first time buying an Old Gringo Boot? 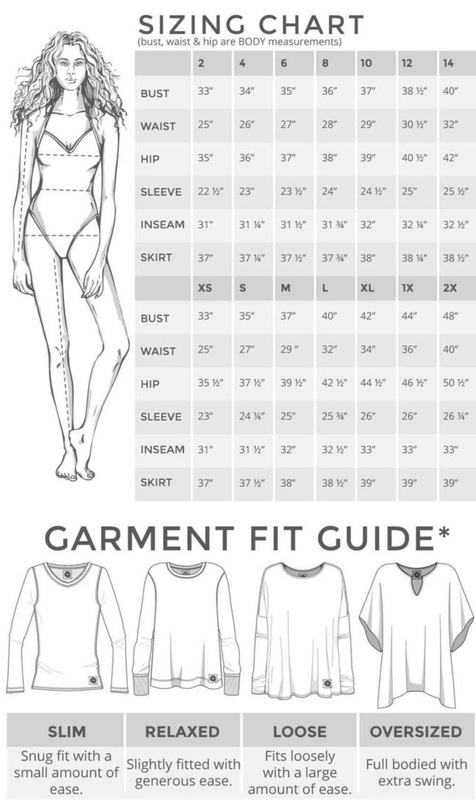 We can help you find your perfect size! Shopping for shoes online is a lot of fun. However, sometimes it can be challenging. Old Gringo would like to share some tips with you especially if this is your first time buying at OldGringoDirect.com. Our boots are handmade, meaning hand lasted in a welted construction. These will be the most comfortable boots/shoes you own, but the fit is not like traditional machine made footwear. How to Find Your Perfect Boot Size? Be open to the possibility of maybe choosing a new size. Start with your regular shoe size. If you have a chance, have your feet measured once a year to see if your size may change. Notice that certain socks can make an extra ½ size difference to your feet. If you have athletic calves. Our boots have a European cut and tend to be narrow in the leg. Consider ½ size up if you are ordering boots with shafts 13 inches or taller. If you have high-arched foot or instep. And want to guarantee a comfortable fit, it may be a good idea to consider boots with zippers and elastics. If you have athletic calves, we suggest 10 inch or shorter shaft boots or shoes. If your boots did not fit perfectly, remember that we have an easy return policy. Remember we have excellent customer support, we will be happy to answer question or concerns regarding our products. Old Gringo Boots are made of all leather even the sole. They will mold to your foot and be the boots you never want to take off. Finally, most important is to trust your sense guide, when you love it buy it! Once you are confident, you found the right boot for you buy it and wear it right way! This is a very important part to guarantee the right fit. If the shaft is too narrow, and you have a high instep try a boot with a zipper. To give you more stability when you walk, the ball of your foot should fit in between the widest part of the boot. Check, the ball part of your foot, is in the proper place. Otherwise if the toes are to forward into to the front it means the boot is too short for the foot. A boot should slip a little in the heel. When you start using a new boot the brand new leather will take a few days to give you comfort and the slippage should not cause discomfort. Remove dirt and dust after each wear. Wipe your boots off with a soft cloth, dampen slightly if needed. Store your boots properly; keeping them at proper humidity levels so they can least in a great condition longer. Keep your cowboy boots away from your pets. Animals, especially dogs love to chew on leather. It is recommendable to use a boot bag to transport your boots. Is good to pay attention how you walk or drive in your boots, especially if they have a lot of embellishments. Use an Old Gringo Boot Jack to assist in removing your cowboy boots. 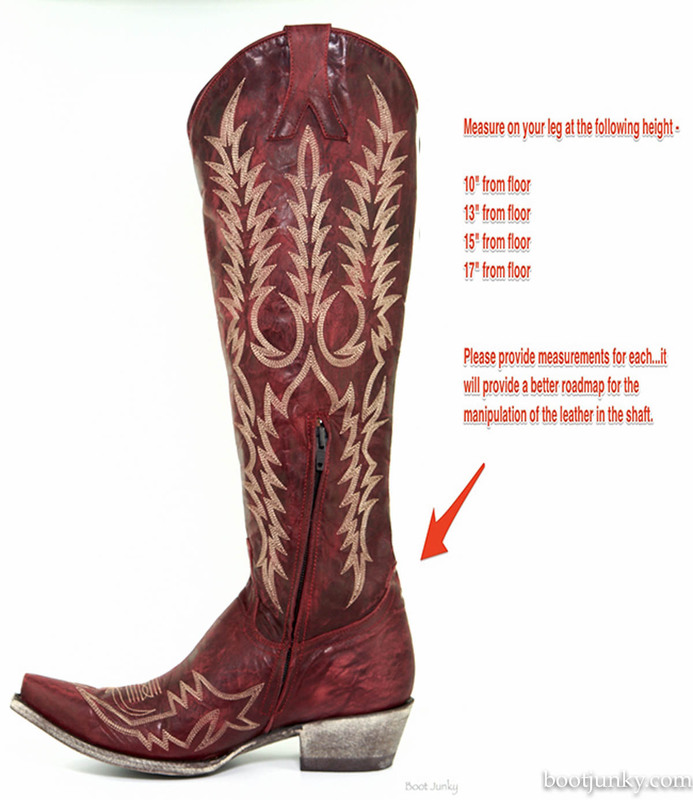 Boot Junky also provides a stretching service if needed...here are the measurements that would be required and please check with us ahead of time before ordering to make sure that we can accommodate your request.